Ubuntu has touched the lives of many among us in different ways. I can't speak for everyone here and hence I will share a few of my experiences with Ubuntu. For me, Ubuntu was the gateway to Linux and to the whole open source way of thinking. Ubuntu taught me that computers are not all about Windows OS and that there are far better alternatives than the "default" Windows desktop which you have been made to see and learn from a younger age. 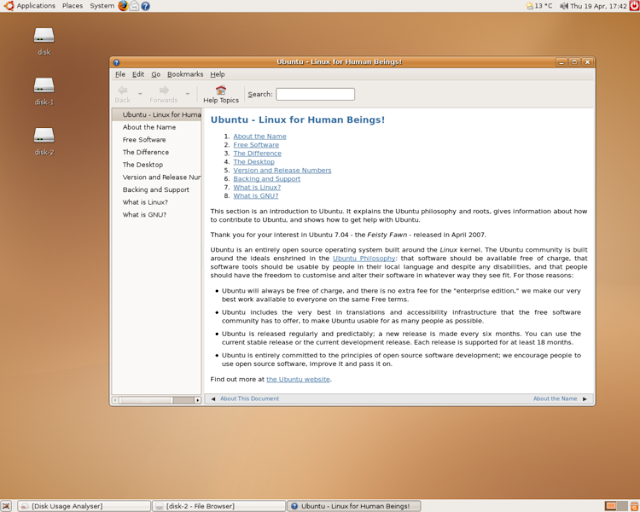 Lets go back in time and see how Ubuntu evolved over the years to become what it is now - a totally awesome, user-friendly and fast changing Linux based distro for 'human beings'. A new version of Ubuntu is released every 6 months like clockwork, and as of Oct 2015, a grand total of 23 stable releases has been delivered. Each release also has a specific code name which are made using an adjective and an animal with the same first letter (e.g. Hardy Heron, Wily Werewolf). We will do a brief overview of each one of them below. A walk back through the history of Ubuntu. Read on. Ubuntu 4.10 codenamed "Warty Warthog" marked the beginning of a new kid in the block, the first and foremost release of Ubuntu by Canonical foundation. 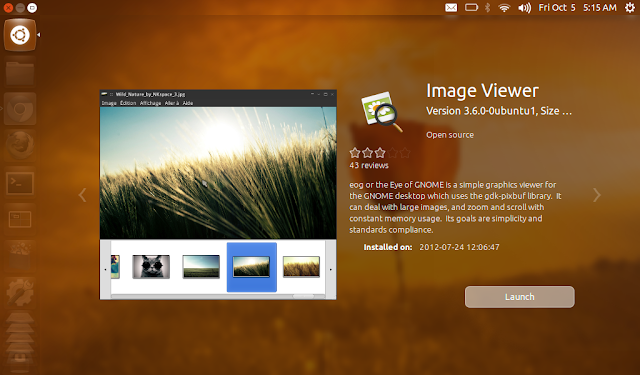 This new Linux distro was based on Debian and aimed at giving new users a trouble free experience of Linux. This release also crucially brought the Ubuntu shipit feature where by users could get Ubuntu installation CD's mailed to their homes for free through a simple signup. Shipit was one of those key USPs that made Ubuntu a very popular choice among youngsters in those early days. I think I still have several lying around near my old PC. And who can forget those Ubuntu branded stickers! Ubuntu 5.04 codenamed "Hoary Hedgehog" was released on 8 April 2005. From this second release onwards, massive changes started to trickle in. Ubuntu 5.04 added many new features including an update manager, upgrade notifier, readahead and grepmap, suspend, hibernate and standby support, dynamic frequency scaling for processors among many other major improvements. Ubuntu 5.04 was so ahead of its time that it even introduced support for installation from USB devices. Ubuntu 5.10 codenamed "Breezy Badger" was released on 12 October 2005, the third stable release of Ubuntu by Canonical. 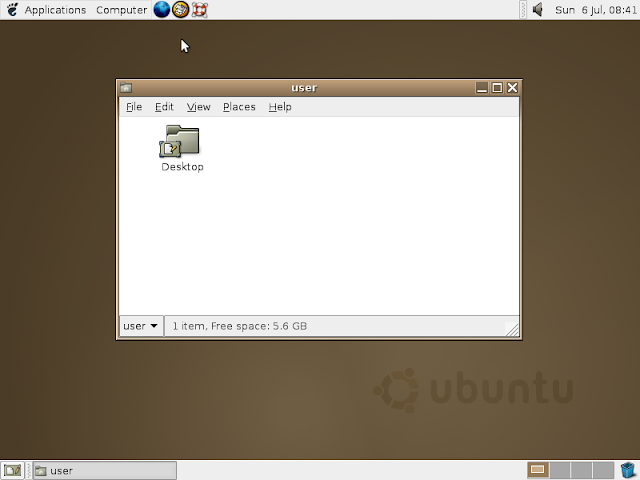 Ubuntu 5.10 added several new features including a graphical bootloader (Usplash), an Add/Remove Applications tool, a menu editor, an easy language selector, crucial logical volume management support, full Hewlett-Packard printer support, OEM installer support among others. More importantly, this release also brought in Launchpad integration for bug reporting and software development. Ubuntu 6.06 LTS codenamed "Dapper Drake" was released on 1 June 2006. It was also the first Long Term Support(LTS) release. This was also the only time when the Ubuntu release cycle was slightly pushed forward by 2 months owing to all sorts of delays. Many new features were introduced including having the Live CD and Install CD merged onto one disc, a graphical installer on Live CD, a network manager for easy switching of multiple wired and wireless connections, implementation of Humanlooks theme among other improvements. Ubuntu 6.10 codenamed "Edgy Eft" was released on 26 October 2006, Canonical's fifth Ubuntu release. Tomboy, F-Spot became new defaults. Human theme also went through heavy modifications. 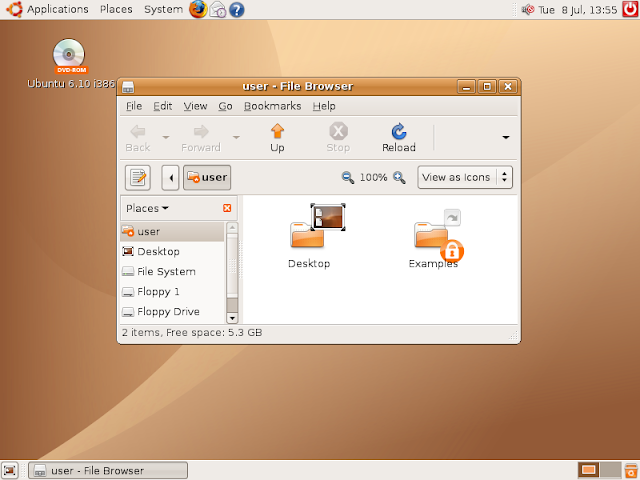 Ubuntu 7.04 codenamed "Feisty Fawn" was released on 19 April 2007. This release had a very special significance for me. Feisty was my first real Linux experience. I was a complete noob to the whole Linux way of life then and barely installed Ubuntu in my laptop with the help of friends and Ubuntu Forums. And to be frank, the primary reason for me trying out Ubuntu was Compiz and all the bling that came with it. In those clogged XP-Vista days, Compiz was (and it still is in many ways) a breath of fresh air. 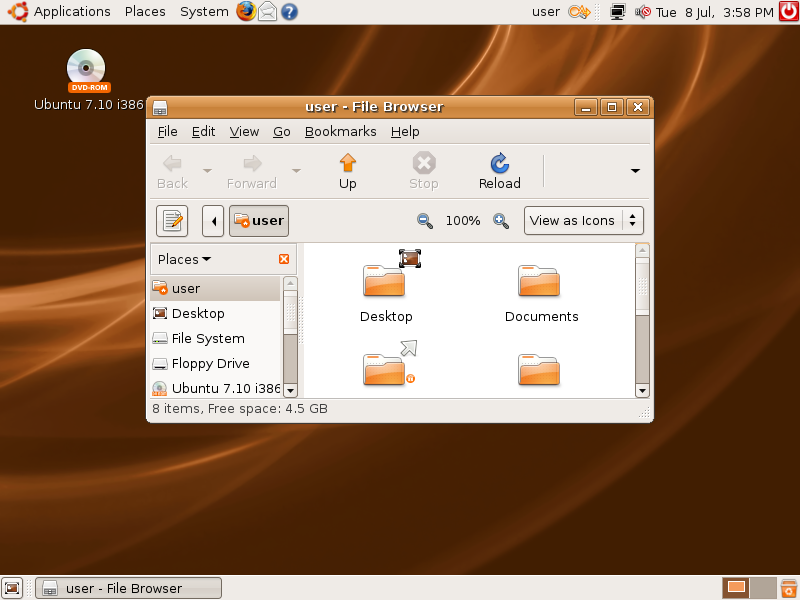 Ubuntu 7.10 codenamed "Gutsy Gibbon" released on 18 October 2007. 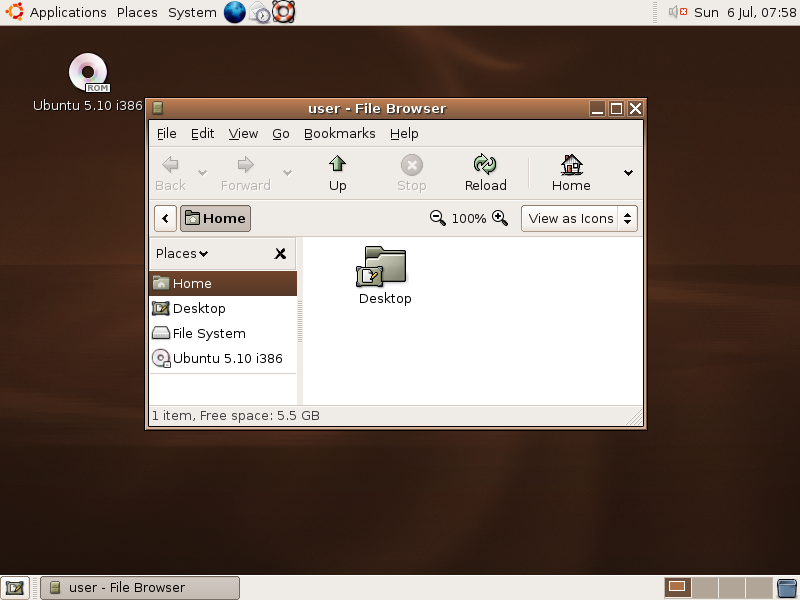 Ubuntu 7.10 introduced Compiz Fusion as a default feature. This seventh release of Ubuntu also marked the introduction of full NTFS support. Ubuntu 8.04 codenamed "Hardy Heron" was released on 24 April 2008. 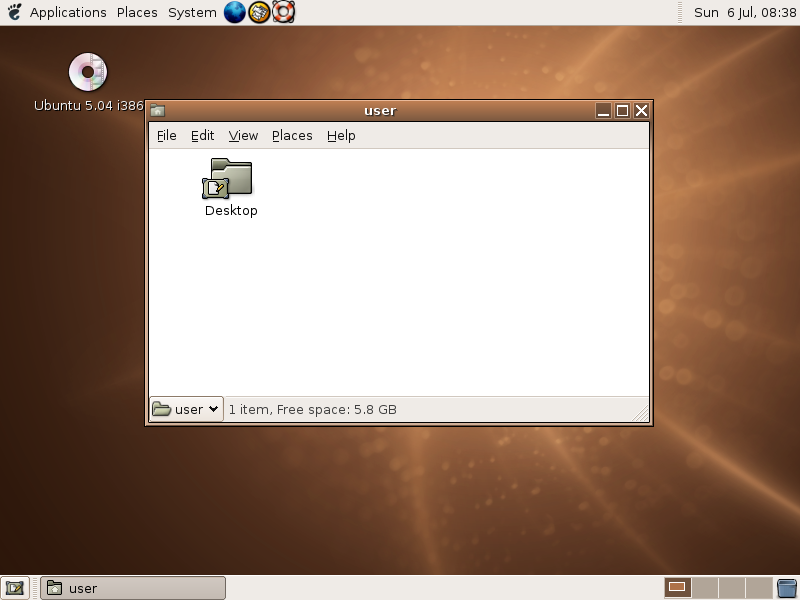 This was the second LTS version of Ubuntu. 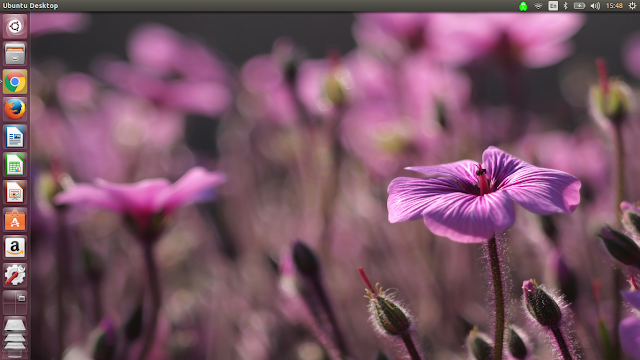 In my opinion, this release had one of the best designed Ubuntu wallpaper as default. Brasero disc burner and transmission bit torrent client were introduced during this release. Controversial Pulse Audio became the new default system sound server. This release also introduced Wubi installer using which you can install Ubuntu inside Windows without repartitioning the disk. Ubuntu 8.10 codenamed Intrepid Ibex was released on 30 October 2008. It was the ninth Ubuntu release and it was also one of my favorite releases. 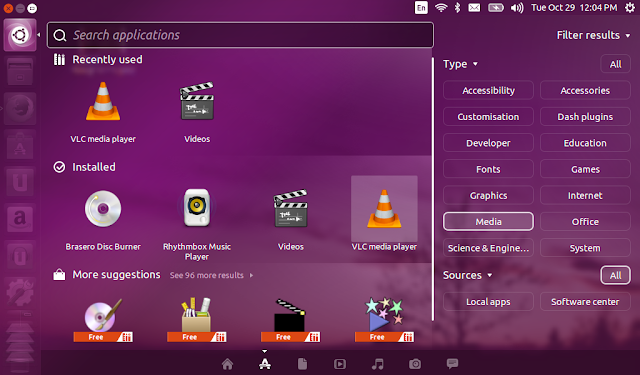 This release introduced useful Ubuntu Live USB creator application. Guest session functionality was also introduced during Intrepid Ibex release. 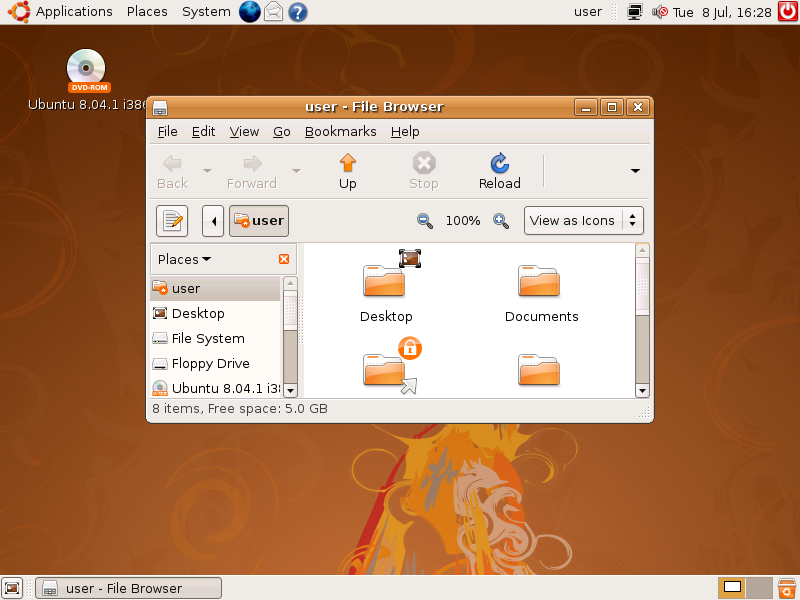 Ubuntu 9.04 "Jaunty Jackalope" was released on 23 April 2009. This release marked the first time that all of Ubuntu's core development moved to the Bazaar distributed revision control system which is designed to make it easier for anyone to contribute to free and open source software projects. Faster boot time was another major achievement of this release. 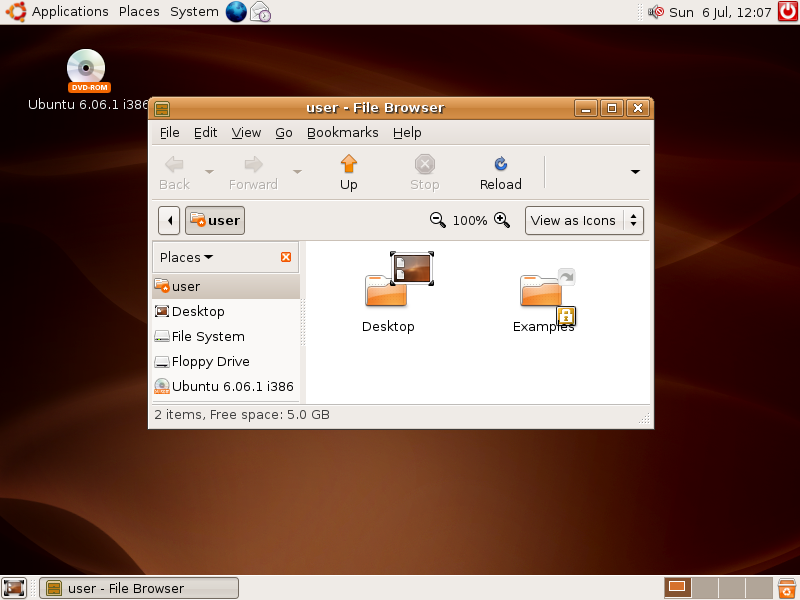 Ubuntu 9.10 codenamed "Karmic Koala" released on 29 October 2009. From this release onwards, Ubuntu slowly started to shift gears. A slew of changes started to flood Ubuntu. During Ubuntu Karmic's release cycle, Canonical introduced the One Hundred Paper Cuts project, focusing developers to fix minor usability issues. This was a major move and it helped bring a lot of polish for Ubuntu in the latter releases. 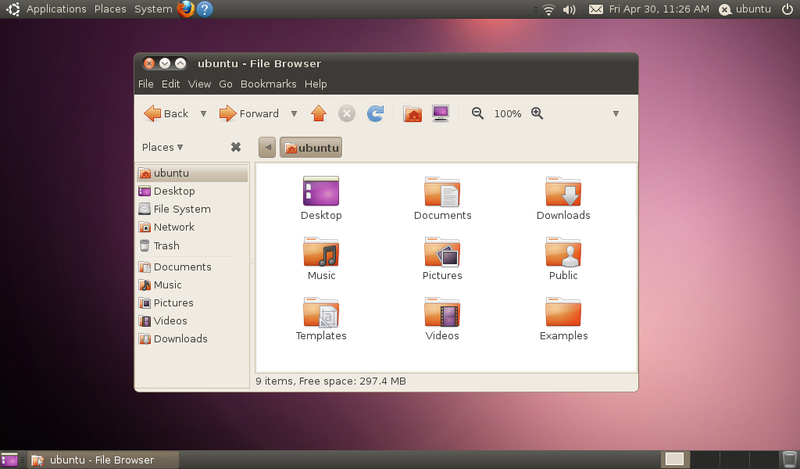 This release also introduced Ubuntu Software Center. Ubuntu 10.04 codenamed "Lucid Lynx" was released on 29 April 2010. 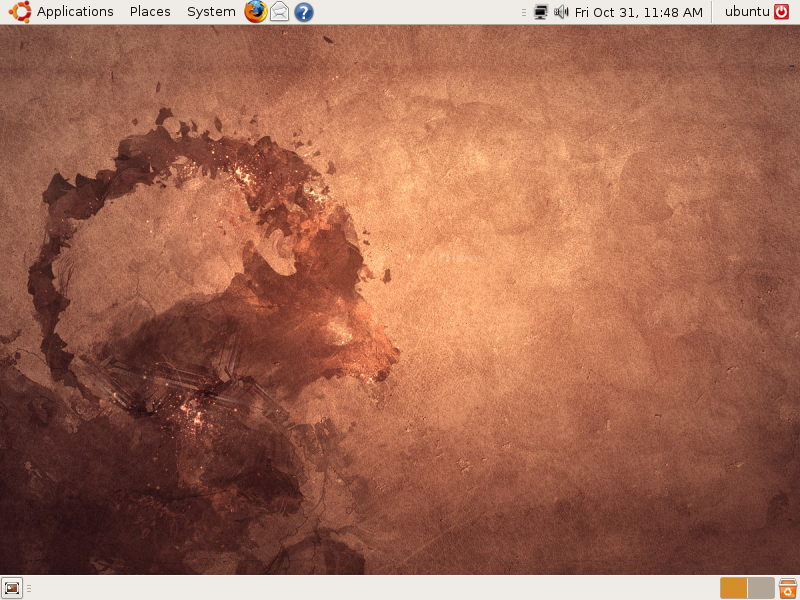 Ubuntu 10.04 "Lucid Lynx" is my favorite release to date and it brought about the biggest amount of changes ever. Ubuntu had a complete branding makeover during this release cycle. Even the brown theme was ditched for the first time for a more bright and pleasant looking "Light" inspired theme. 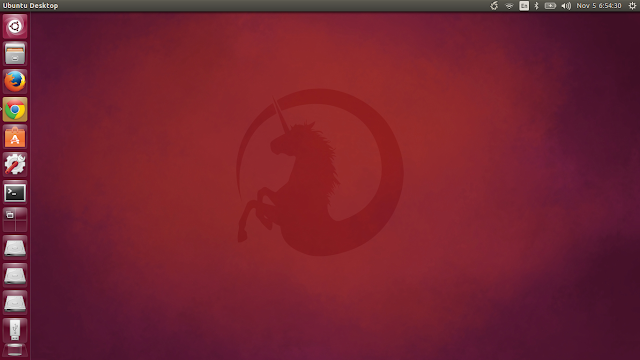 Changes Ubuntu 10.04 Lucid Lynx went through. Ubuntu 10.10 codenamed "Maverick Meerkat" was released on 10 October 2010 (10.10.10) at around 10:10 UTC. Close to the heels of Ubuntu Lucid release, Ubuntu Maverick was also packed with new features and improvements. 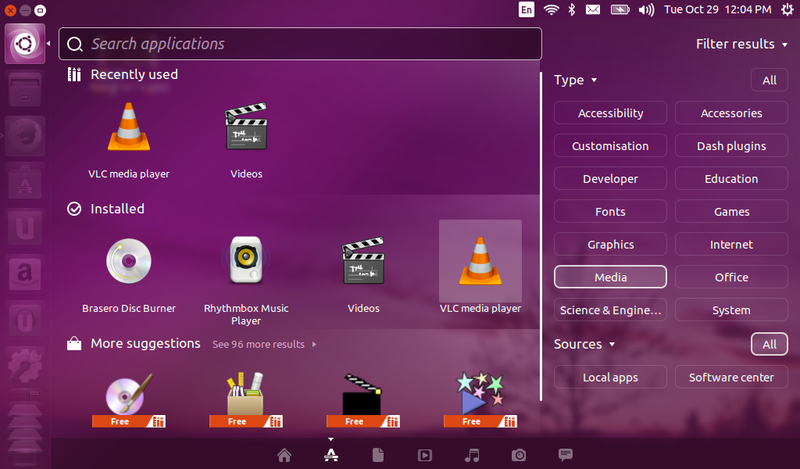 Ubuntu Software Center became one of the applications that received maximum amount of attention. Canonical's attention to detail started showing up big time during Ubuntu 10.10 release cycle. Ubuntu 11.04 "Natty Narwhal" was perhaps *the* most controversial Ubuntu release ever. 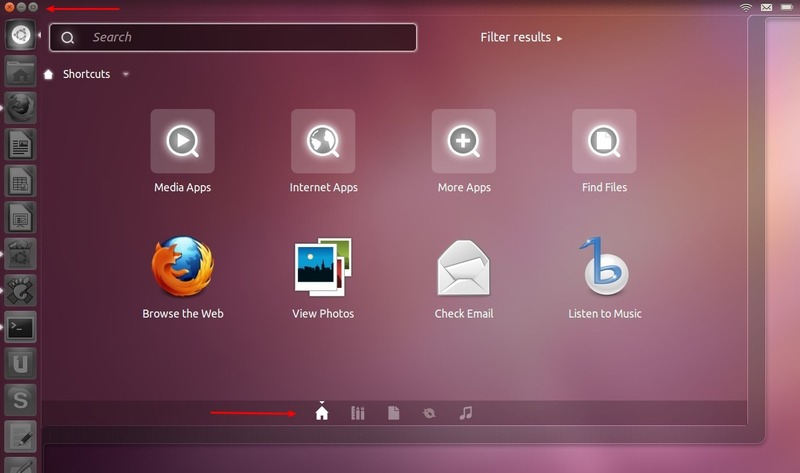 Canonical introduced Unity shell with Ubuntu 11.04 which created quite a furore among its vast user base. Unity was Ubuntu's answer to GNOME 3.0's GNOME Shell desktop, though Ubuntu 11.04 was still based on previous GNOME 2.x. Reactions from users was not really what Canonical would have hoped for. Unity was far less customisable when compared to earlier versions and that was simply unacceptable to many long-term Ubuntu users. 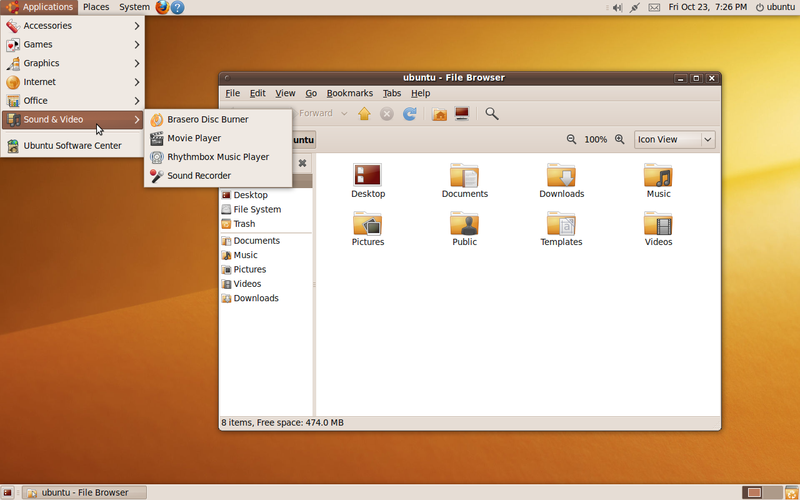 Ubuntu 11.10 codenamed "Oneiric Ocelot" was the first GNOME 3.0 based Ubuntu release. Oneiric did not brought in sweeping changes like its predecessor did. But it does brought in a lot of polish to the controversial Unity UI. LightDM replaced GDM as Ubuntu's new default login screen. Classic Gnome Desktop was completely ditched in favor of Unity 2D during this release cycle. 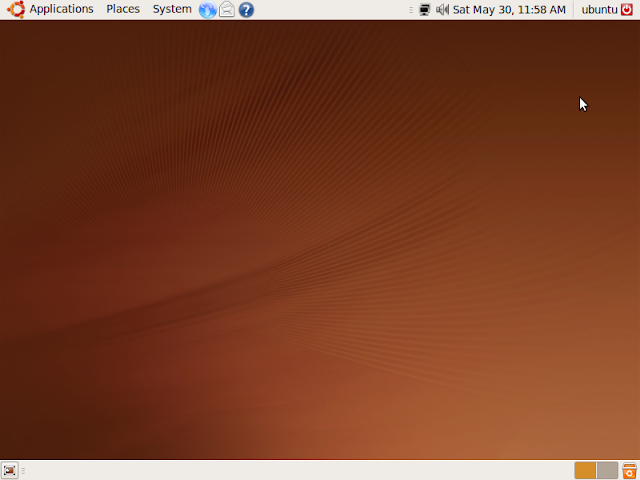 A quick screenshot tour of Ubuntu 11.10 Oneiric Ocelot. Quicklists was introduced as a default feature for the very first time. Apart from the usual three Unity lenses (Applications, Files and Music), there is an additional Video lens too which lets you select and play videos from a variety of sources ranging from your local collection to YouTube Movies, BBC iPlayer and TED Talks to name a few. HUD became fully operational. Default launcher behavior is set to "always visible" instead of "dodge windows". Rhythmbox is back again replacing Banshee as the default music player. Changes in Ubuntu 12.04 LTS. Like most previous *.10 releases, Ubuntu 12.10 became the testing ground for a barrage of new features. We listed a grand total of 23 improvements/changes in Ubuntu 12.10, which is pretty staggering at any count. Improvements to LightDM based login screen, remote login facility, Unity Dash price ribbons, Local Apps filter, Launcher improvements, a new dedicated Ubuntu One Music app, and more privacy with the introduction of ON/OFF switch for online search results withing Unity Dash. Ubuntu 12.10 had its share of controversies also. For example, the introduction of Amazon shopping lens as default riled up many. Though Unity was improved leaps and bounds by now, it lacked the polishness and finesse it deserved. With the help of recently joined designer known for his gorgeous works including Faenza theme, Ubuntu 13.04 look and feel got some much needed attention. The new shutdown menu and core app icons were a class apart. The new "spinning" Unity dash icon and Software Updater icon set benchmarks in branding. Also, Wubi installer was dropped during this release owing to compatibility issues with Windows 8. And more importantly, it was decided that non-LTS Ubuntu releases will see their support periods halved (9 months instead of 18) from Ubuntu 13.04 onwards. Go through the list of visual changes in Ubuntu 13.04. With Unity maturing, updates became more minor in nature. There were talks about replacing Firefox with Chromium as default web browser for Ubuntu, but it never materialised. There were also talks about replacing aging X11 with XMir display server and then go on to completely replace X session by Ubuntu 14.04 LTS. But XMir still remains a work in progress. Unity 7 was really starting to feel more "middle-aged" with every passing release. More incremental updates than sweeping changes showed signs of maturity. But even then, the ability to turn off the global menu and the arrival of Local Integrated Menus were welcome additions. Click to Minimize became available through a CCSM update. X11 was retained and XMir adoption pushed even further. 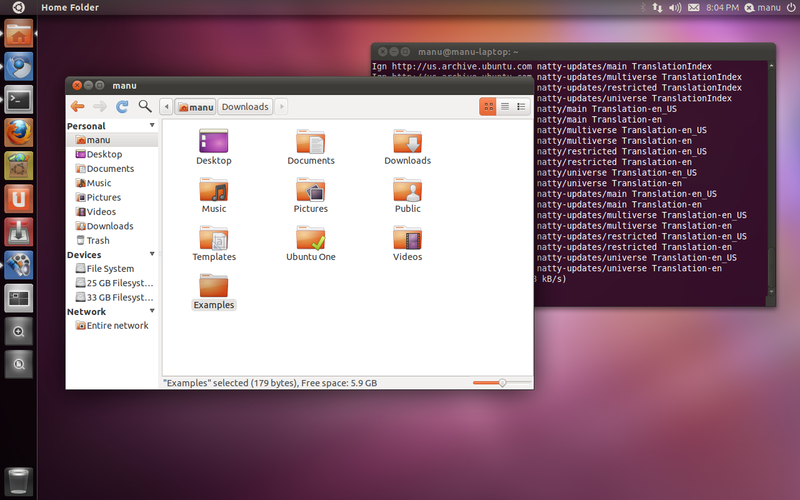 Ubuntu 14.04 LTS was a largely uneventful LTS release, which can be a good thing in my opinion. Everything just worked. Ubuntu 14.10 was supposed to be rock solid released release with incremental updates. And it was, for many. But for me, this one was a pretty eventful release. Weirdly, I faced a lot of teething issues with Ubuntu 14.10 so much that I had to replace Ubuntu with elementary OS as my daily work horse for the first time (not that I'm complaining). Netflix started working out of the box, which was a big positive. This was also the release cycle during which Canonical seriously devoted resources into its mobile platform and work on Unity 8 was acquiring some serious momentum. 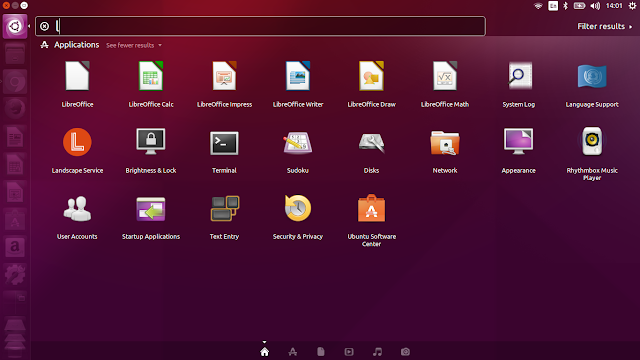 Here's our compilation of things to do after installing Ubuntu 14.10. With the arrival of Ubuntu 15.04, things were back to normal for me. 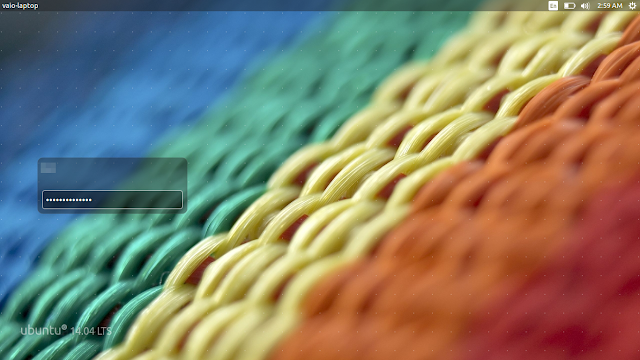 Ubuntu was working just as good as ever, thanks to "Vivid Vervet". This was also the release when Upstart was finally dropped in favour of systemd. There were also improvements to Intel Haswell and AMD Radeon graphics performance. Visual changes? Not so much. Oh and don't forget to read our top things to do after installing Ubuntu 15.04 compilation. 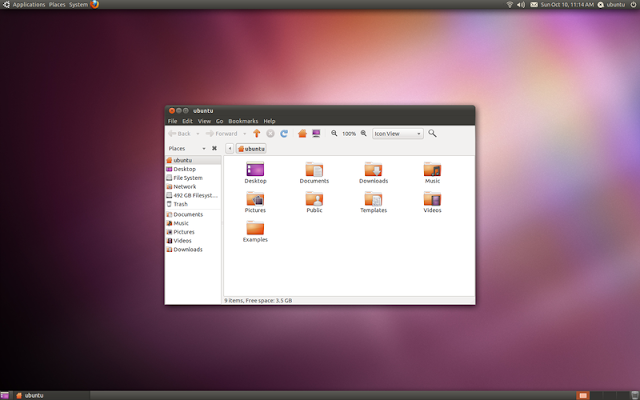 Ubuntu 15.10 was released just yesterday without much fanfare. With works on Unity 8 improving at a rapid pace, Canonical is finding less and less reasons to spend time on adding features and functionalities on Unity 7 based Ubuntu 15.10 "Wily Werewolf". Ubuntu Touch OS meant for mobile platforms got a lot of attention, yet again, which is now capable of receiving instant over the air updates. Mir display server was also supposed to be there as default, but its release has been pushed further. Visually, the biggest change is the removal of disappearing window edge scrollbars (something I really liked) in favour of the upstream GNOME scrollbars. Underneath, there are not much changes, except for the updated Kernel. Very stable and reliable OS though, have been using it since the arrival of first beta. Download here. Next in Line: Ubuntu 16.04 LTS "Xenial Xerus"
This could turn out to be the most important Ubuntu release since the arrival of Unity, if not forever. To be released on 21 April 2016, Ubuntu 16.04 LTS is expected to include Unity 8 running natively on Mir. I can't wait!